Summer is here, which means lots of picnics, backyard parties and celebrations. 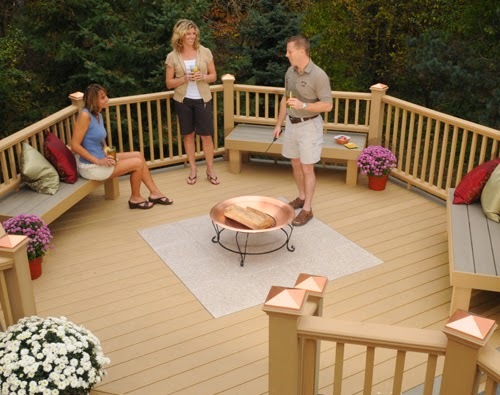 Cookouts and barbecues are truly a primary part of every family’s summer fun and the perfect time of year to think about installing a larger deck and screened porch for hanging out, partying, entertaining and dining. 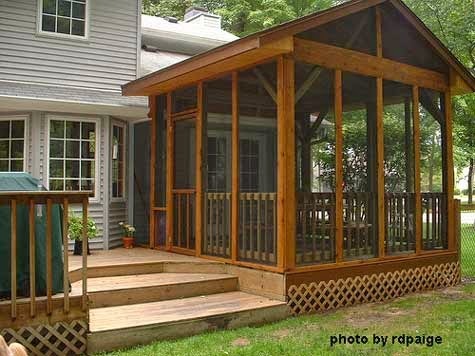 Do you ever find yourself dreaming about a screened porch or perhaps a bigger deck? Well, if so, you have surely come to the right place. Here at American Renovation Services we take tremendous pride in our superior products, services, and designs. We are committed and dedicated to providing all our valued clients with outdoor living designs that not only suit their current home décor but add elegance and style to their backyard living. A combination of deck and screened porch is ideal since summer showers have a tendency to take away or ‘dampen’ outdoor fun and activities. How many times have you planned a backyard picnic or barbecue only to have the summer rain ‘wash away’ your plans and family fun. With a screened porch you have no worries. Not only do they provide you with the cover needed from the rain, but they also keep out any pests that can truly create a nuisance during your outdoor dining event. You can enjoy your backyard barbecue and outdoor activities each time, every time without worry that the rain will force you to cancel especially if the guest list is quite large and the celebration special. At American Renovation Services we are all about our clients. You are our #1 priority which is why we pride ourselves on our wide range of outdoor living designs. From decks and patios, to screened-in porches, we have got you covered. When you find yourself entertaining a large group of family and friends and your role is that of grill master, wouldn’t it be dreamy to have a whole lot of space to cook and entertain without any fear of rain delay or cancellation? Surely, enhancing your outdoor living space will help accomplish just that. Between holiday celebrations, birthday parties and simple outdoor gatherings, the need for an outdoor deck and screened porch becomes more and more a necessity as well as a luxury. With that said, why not take time out now to contact our highly skilled and trained consultants to create and design the perfect outdoor paradise for your backyard. Memorial Day and the Fourth of July celebrations have now come and gone, but summer weekend parties and gatherings with family and friends as well as the big end of the summer Labor Day celebration have yet to be celebrated. These are certainly times for big celebrations and lots of food and fun which is why our team wants to encourage you to start putting in place all those plans for your new or upgraded outdoor living space today. Can you imagine how much you will enjoy a larger deck and screened porch and a whole lot of room for fun, food, and entertaining whether in the spring, the summer or even the fall? Though this is a busy time of year, the sooner you contact our team and schedule your free design and layout consultation the sooner we can schedule and complete your build. With a new deck and a screened in porch you are sure to be the envy of all your friends and neighbors and your new and improved outdoor living space will afford you all that you need to enjoy the major seasonal holidays and turn every day into a special celebration. If you are ready to enhance your backyard living space with a larger deck and screened porch then we are the team for you. Give a shout out to our professionals today and let us turn your simple backyard into a true family paradise. Don’t delay. Summer is already here so contact our friendly, professional team today!